After the fourth of July, we all have to admit that the summer feels like it is coming to an end. Le sigh. Well, buck up fashionistas! We still have an entire month until Labor Day when all of the fall beauty trends start creeping in. There is still an ample amount of time to embrace the summer beauty trends that you have yet to give a try. Here are three that you cannot miss before summer 2014 comes to a an official close. Orange and coral lips were a hot trend last summer, but this year it exploded. 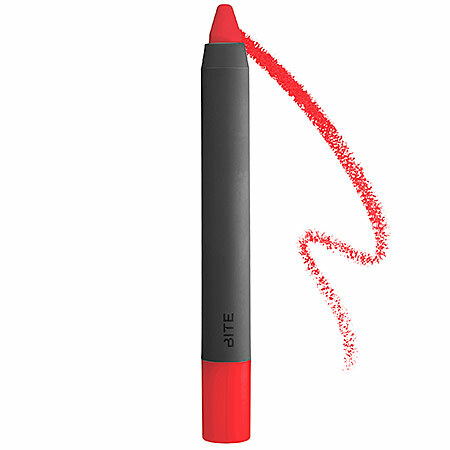 It is a fun alternative to your typical red lip and still adds that great pop of color. The best part of the summer is that you gain a natural glow. Sun exposure (in moderation) helps act as great base for a sunkissed makeup look. You can keep your eye and lip makeup minimal and let your cheeks make a statement. Use a bronzer and a blush to really make your cheeks pop. You do not have to stop rocking braided hairstyles once the fall hits, but in the summertime this is an amazing tool to beat the heat and look stylish while doing it. A braided do beats a sloppy bun any day! Check out a tutorial on how to achieve a look similar to the above hairstyle! There is still so much time left in the summer! Do not let it end without you trying the beauty trends above!